Weimar is a city in the German federal state of Thuringia. 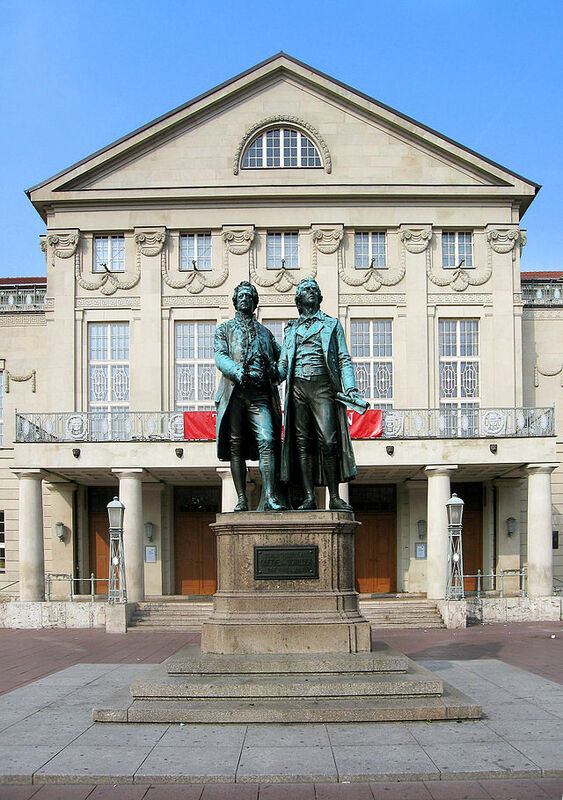 It is not important because of its size (60,000 inhabitants), but because of its history: it is synonymous with the classic age of German literature - the Weimar Classic, when both Johann Wolfgang von Goethe and Friedrich von Schiller resided in the town. in front of the Deutsches Nationaltheater and Staatskapelle Weimar. This page was last modified on 26 April 2015, at 20:33.